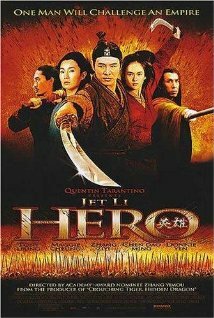 Jet L i does a wonderful job of conveying the story of a man who is sent to kill a ruler in Hero. The main character may have a role of his own, but he also provides the audience with an invaluable narrator. You will be amazed by the smaller stories that are a part of one long journey that the main character takes toward his ultimate goal. The scenery as well as costumes for this film is also awe inspiring as well as imaginative for that particular era. Viewers will be guessing until the very end of Hero what is actually going to happen to the main character. Does he actually go through with his plan? Will he be caught long before hand? You need to watch the movie to find out for yourself. This film gets a four out of five popcorn rating. To learn more go to http://www.imdb.com/title/tt0299977/.